Most apartment communities require you to obtain renters insurance before move-in. The kind of coverage you need can be somewhat confusing. And, of course, every insurance policy is different, so talk to your insurance agent to find if the provider’s policy meets your needs and the apartment’s requirements. We are not insurance agents or experts in insurance policy or law, so we will not be able to adequately answer those type of questions, but here’s some general information on common questions associated with renters insurance. 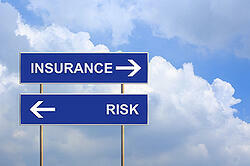 Almost every apartment community will require you to obtain liability insurance. They will let you know how much coverage is required. Springs requires $100,000 liability coverage as of the publish date of this blog article. Simply put, liability insurance protects the landlord from any damages caused by residents. It covers any damage caused by you to the apartment structure, and may also cover damage in neighboring apartments and their contents due to an incident that occurs in your apartment. If you start a fire, it would cover the cost of fixing up your apartment. If that fire results in water damage to a neighboring apartment, it may cover the neighbor’s expenses to fix their stuff, but not yours. There are two kinds of insurance: liability and personal property. The first protects the landlord and its property, the second protects you and your property. It is imperative that you speak to an insurance agent about personal property protection because every renter’s needs are different and everyone’s items are valued differently. Many communities are now requiring some level of personal property protection in addition to liability coverage. 3. How Do I Know Who to Contact? Your Springs team will give you the name of our “preferred” insurance company. They know us and already have all the details about our communities and each building, so they will be ready to get you going quickly. (Most other apartment communities also have a preferred provider they can put you in touch with). However, if you already have a trusted agent who handles your auto or other type of insurance, you can likely add a renters policy as well. It’s pretty straightforward. Contact your insurance agent, or the one suggested by Springs, and tell them the amount of liability coverage required. They’ll give you with a quote and if you decide to proceed, they’ll ask when you want coverage to begin and details like address, apartment number, etc. Your coverage should begin the day you move in and should cover the entire length of your lease. The agent will give you proof of insurance coverage, which you will need to provide to the leasing team in person or your insurance agent can fax or email the proof of coverage directly to the apartment office. Though renters insurance might seem like an annoying additional expense you didn’t expect, you can never predict when something will go wrong. If something does go wrong, however, having a policy in place can be a lifesaver. It’s one of the least expensive policies you can buy, so make sure you talk to your insurance agent today about putting a policy in place!